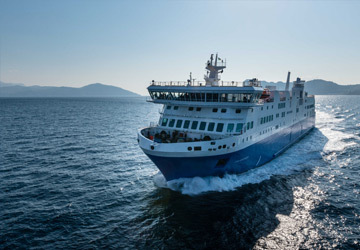 The Bastia Genoa ferry route connects Corsica with Italy. 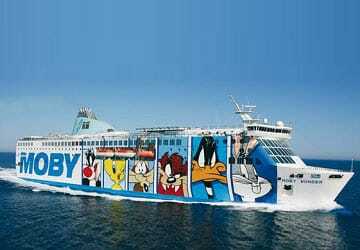 Currently there is just the 1 ferry company operating this ferry service, Moby Lines. The crossing operates up to 14 times each week with sailing durations from around 7 hours 15 minutes. Bastia Genoa sailing durations and frequency may vary from season to season so we’d advise doing a live check to get the most up to date information. Prices shown represent the average one way price paid by our customers. The most common booking on the Bastia Genoa route is a car and 2 passengers. "Bastia - Genoa with Moby Lines "
Facilities (children's land, bistro area) I liked, cafeteria is ok, cleanliness on the ship is good, especially sanitation facilities has to be mentioned positively, the staff is effective, unfortunately we are belatedly arrived in Genoa (the weather was certainly not an obstacle: sun and no waves). The ferry was very punctual. The cabin practical and the cleanliness okay. The children have a small place for himself to crawl, run and play., The cartoon characters also were accepted well. However, few shade spaces are outside on the deck and they are all wooden benches without cooshing. I would at any time take the ferry. We were very pleased with directferries. 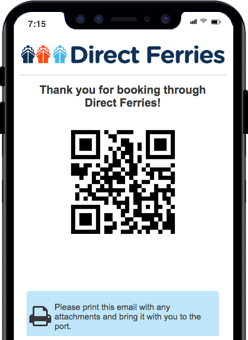 gave at the beginning of a booking problem but direct ferries has fast and good help. Even the crossing with the Moby was great. We are driven back with corsica ferries and that was totally bad. was a great ship and we were well briefed, there were no problems. 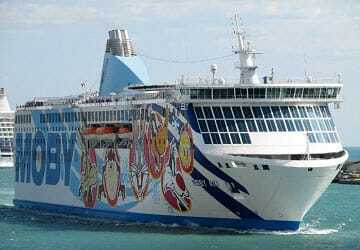 I would immediately rebook with direct ferries. But only the Moby.